Kerri Schofield, BA, QMHS, graduated with an Associates Degree in Mental Health Technology from Sinclair Community College, and a Bachelor of Arts Degree in Psychology from Wright State University. Prior to joining Child Focus, Ms. Schofield worked for 7 years with the youth and young adult homeless population in Dayton, Ohio. She served in direct care positions, managed a residential facility, and provided supervision to direct care workers. As a Qualified Mental Health Specialist, Ms. Schofield provides Therapeutic Behavioral Services to students in Milford High School and Success Academy, as well as in home and community settings. Linda Selsby, MSW, LISW-S, received her Master of Social Work degree from the University of Cincinnati, Graduate School of Social Work in 1987 and has been licensed by the State of Ohio Counselor, Social Workers and Family Counselor Board as an independent practitioner since 1990. Mrs. Selsby has been employed by Child Focus, Inc. since February 2014 as an outpatient therapist and sees clients at the Child Focus offices located at Health Source of Ohio in the Georgetown Pediatric office and the Health Source of Ohio Family Practice office in Batavia, Ohio. Her areas of competency include but are not limited to the following: diagnosis and treatment of mental and emotional disorders, mental and behavioral health counseling for individuals, families, group and child and adolescent psychotherapy. Mrs. Selsby utilizes cognitive behavioral therapy, play therapy and psycho-educational interventions in her work with children. Susan Shafer, MA, LPC, is the Coordinator and works as a clinical mental health therapist at the Mt. Orab office. Susan enjoys working with adolescents and teenagers while utilizing humor and a client’s strengths to help promote motivation and change. Susan is a trauma informed clinician and is currently working on getting certified in Trauma Focused-Cognitive Behavioral Therapy. Susan obtained her Bachelors of Arts and Sciences at University of Cincinnati while interning at Clermont County MRDD and University of Cincinnati Women’s Psychiatric Research Department. Susan later obtained her Master’s in Clinical Mental Health at Xavier University and is a Licensed Professional Counselor. 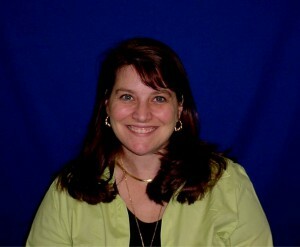 Nicole Sheehy, M.Ed., LPC, is a Multi-Dimensional Family Therapist with the Child Focus Juvenile Court Team. She received her Bachelor of Arts in Psychology with a concentration in Counseling and Human Services from Northern Kentucky University in 2013. In December 2017, Ms. Sheehy completed her Masters of Education in Counseling and Human Development from Lindsey Wilson College. During her Master’s program, she earned clinical experience in school-based therapy, risk assessment and solution-focused therapy in the Juvenile Detention Setting, as well as intensive home-based juvenile court therapy. Prior to joining Child Focus in April 2016, Ms. Sheehy worked in public child welfare, adult protective services, and Wraparound community service coordination. Jenny Small, MSW, LSW, is an outpatient therapist at Child Focus, Inc. She received a graduate degree in social work from the University of Cincinnati in 2011. Prior to her work at Child Focus, Inc. Miss Small worked as direct care staff on the crisis stabilization unit at St. Joseph Orphanage in Cincinnati Ohio. The focus of Miss Small’s work was to help in the treatment and care of clients who suffered from mental health and behavioral issues. Miss Small helped to run therapeutic groups, provided support to the clients who were living on the crisis stabilization unit, helped manage crisis situations that would occur on the unit and met the clients’ daily needs during school, group therapy, meal time and free time. As an outpatient therapist at Child Focus, Inc. since July of 2012, Miss Small works with families who are in need of support for mental health, behavioral concerns and difficult family situations. Miss Small’s clients are children who have been referred to counseling due to mental health concerns, such as depression, anxiety, anger, and attention deficit hyperactivity disorder. Miss Small is also currently leading a therapeutic group to help children with their social skills and self esteem. Nicole Snyder, MS, LPC, received her Master of Science degree in Clinical Mental Health Counseling in 2015 from Northern Kentucky University. She also earned her Bachelor of Science in psychology through NKU in 2009. Nicole completed her internship for graduate school at Cincinnati Children’s Hospital Medical Center’s College Hill Outpatient facility. Nicole’s academic performance was geared toward children’s mental health and techniques that work to engage children in the therapeutic process. Nicole has previous experience as a case manager for adults with intellectual and development disabilities through NorthKey Community Care. 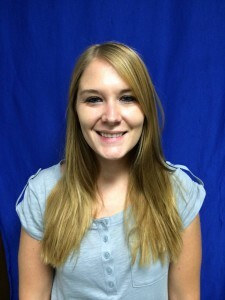 Nicole is currently working toward her independent license through the state of Ohio as a therapist with Child Focus. Dashia Stantz, MSW, LSW, graduated from Miami University in 2011 with a Bachelor of Arts in Psychology and from Northern Kentucky University in 2014 with her Master of Social Work degree. Through her social work internships, Dashia gained experience in the training and certification of foster parents, the diagnosis and treatment of mental health and substance use disorders, and the provision of individual therapy, group therapy and case management services. Dashia also has experience working with children and families in early childhood learning centers, elementary schools, afterschool programs, and out-of-home placement settings. Since becoming a Licensed Social Worker in June 2014, Dashia has primarily worked for nonprofit agencies, providing comprehensive case management services to individuals with severe and persistent mental illness. Dashia joined the Mental Health in Early Childhood team at Child Focus in April 2016 as an Early Childhood Mental Health Consultant, with a focus on community collaboration. Amanda Stayton, MA, PCC, is a therapist at the Wasserman Youth and Adolescent Center Partial Hospitalization program at Child Focus, Inc. She received a graduate degree in metal health counseling in 2010 from the University of Cincinnati and because an independently licensed professional clinical counselor through the Ohio Counselor, Social Worker, Marriage and Family Therapist Board in February 2013. She started as an intern at Child Focus, Inc. in August 2009 before becoming a full time staff in the outpatient offices in August 2010. While working in the outpatient offices, Mrs. Stayton helped to run therapeutic groups focusing on the management of ADHD and adolescent female self-esteem, aided with crisis services and diagnostics, and conducted individual therapy sessions. After living in California for 1 year, Mrs. Stayton returned to Child Focus in 2014 in the partial hospitalization program, working with clients who have severe enough mental health issues that prevent them from functioning in a typical school setting. Within this program, she is running a group focusing on personal safety and healthy interpersonal relationships. Laura Stith, Ph.D., became a licensed psychologist in the state of Ohio in 1997. She earned her Doctorate in Clinical Psychology with a specialty in children and adolescents from the University of Cincinnati in 1996. Dr. Stith has treated mental health issues in children in a variety of settings including outpatient, inpatient psychiatric and inpatient medical. She completed her pre-doctoral internship at the Indiana University School of Medicine and her post-doctoral fellowship at Cincinnati Children’s Hospital. 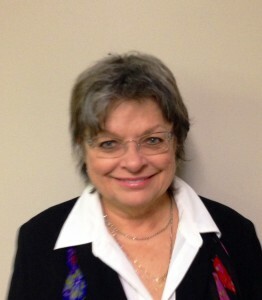 Dr. Stith was at Child Focus as a Psychology Student Trainee and Contract Therapist from 1992-1995. She returned to Child Focus in 1997 and has been the Chief Clinical Officer since 2000. Dr. Stith is the co-leader of the Clermont County Crisis Response Team and is a nationally certified Olweus Bullying Prevention Trainer. She was part of the Clermont 20/20 leadership class in 2005. She was recognized in Clermont County in 2007 with the Wasserman Champion Award and the Hope and Heroes Award. 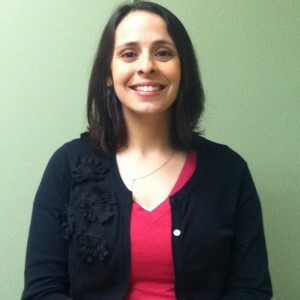 Bethany Strauss, BS, LSW, is a Qualified Mental Health Specialist at Child Focus Inc. in Clermont Region 1. Bethany began at Child Focus Inc. in May of 2018 after completing her Bachelor of Science degree in Social Work from Miami University. Previously, she had completed an internship with the Butler County Success Program as a community-school liaison who assisted families in poverty with addressing non-cognitive barriers to academic success. Bethany currently provides individual Community Psychiatric Supports and Treatment (CPST) services in addition to consultation and prevention services within West Clermont School District at both Merwin Elementary and Withamsville-Tobasco Elementary. Bethany is also a co-leader of the Strengthening Families group held at CFI and is a member of the Clermont County Crisis Response Team.